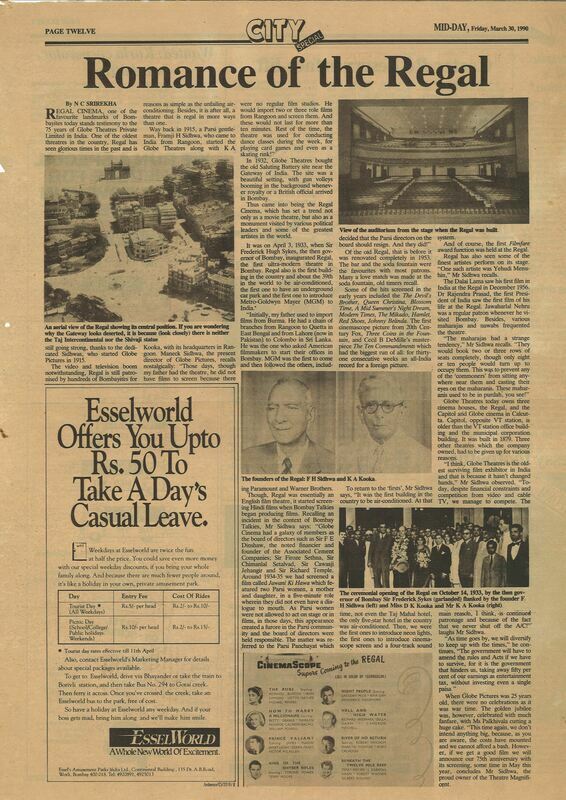 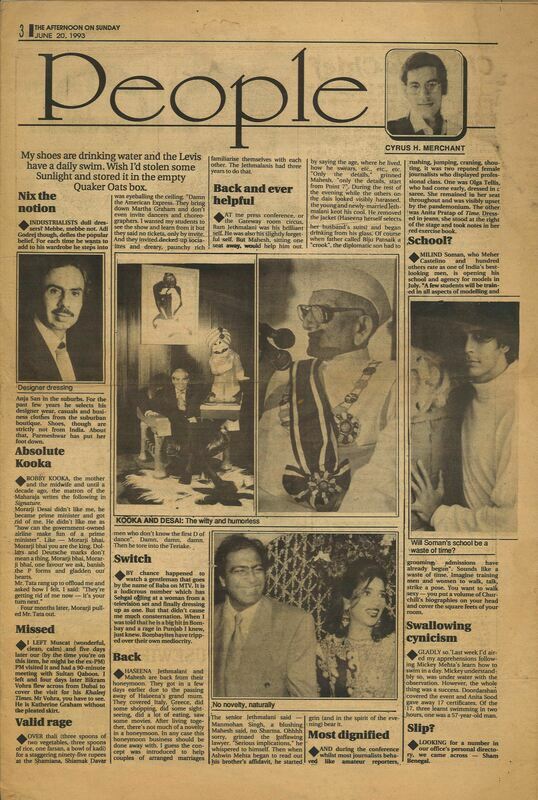 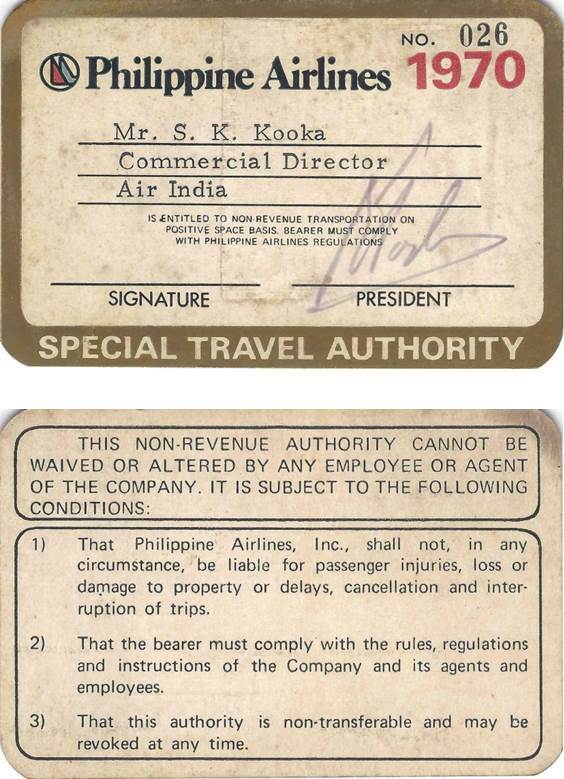 Kooka served Air-India for over 35 years, and is credited as being the creator of the Maharajah. 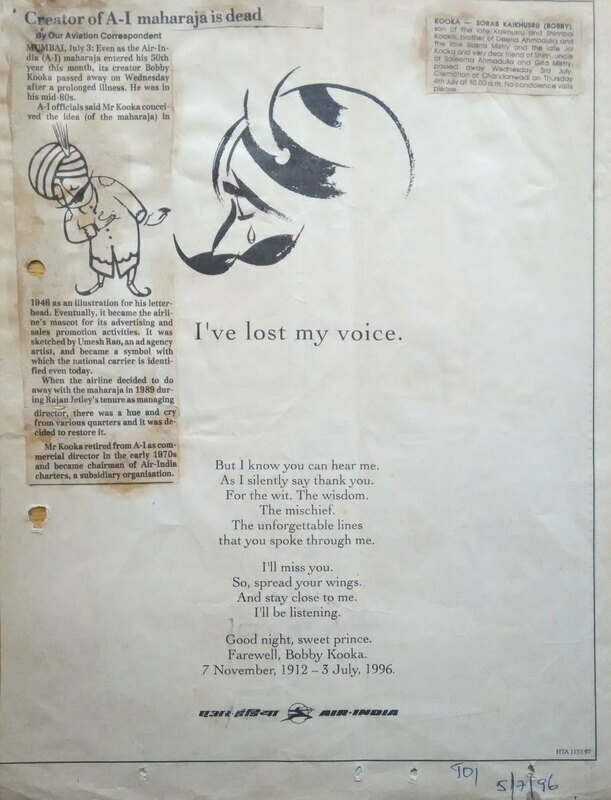 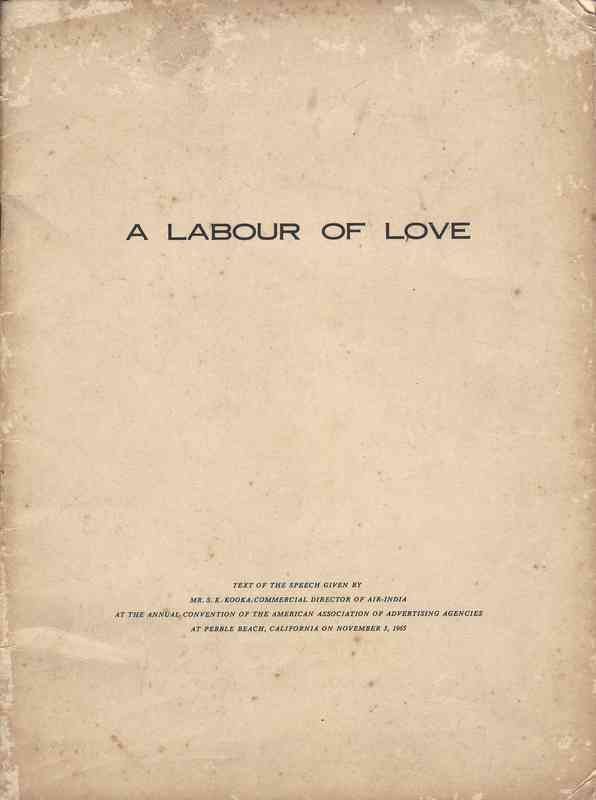 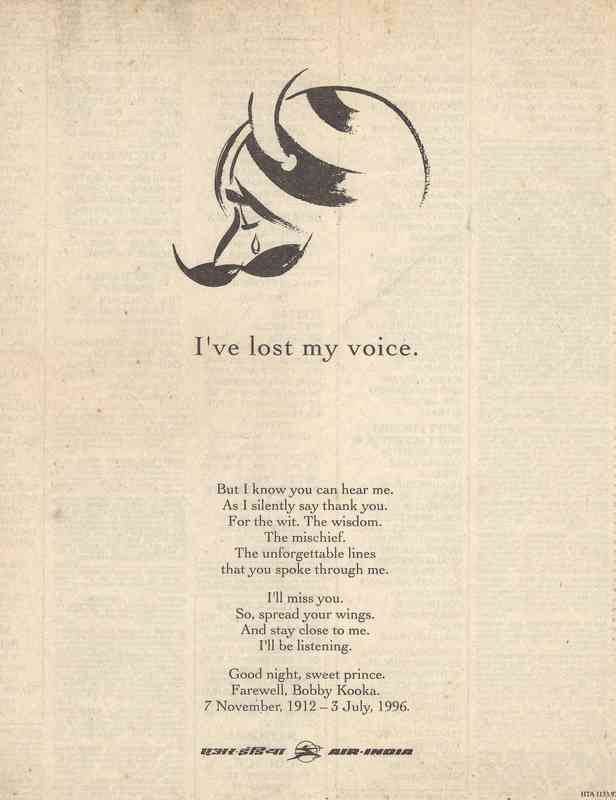 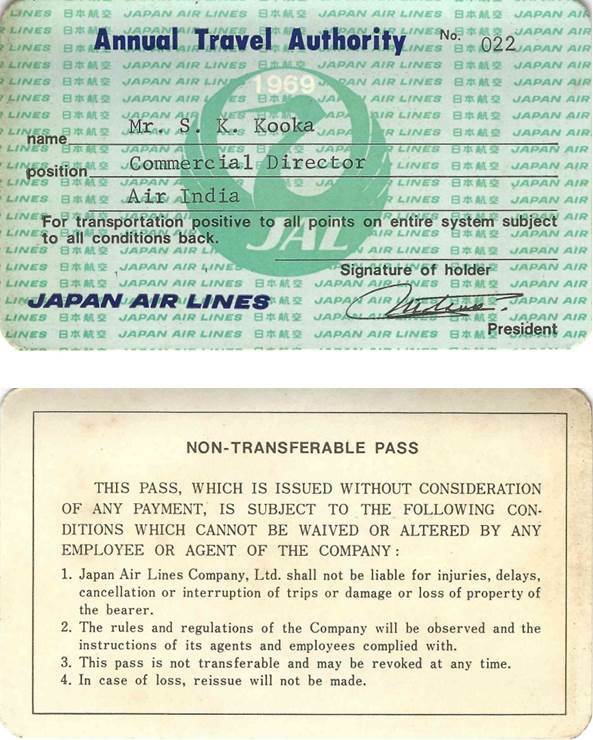 he was the Commercial Director of the airline, and is responsible for the Maharajah's personality, and building the brand of Air-India around the Maharajah. 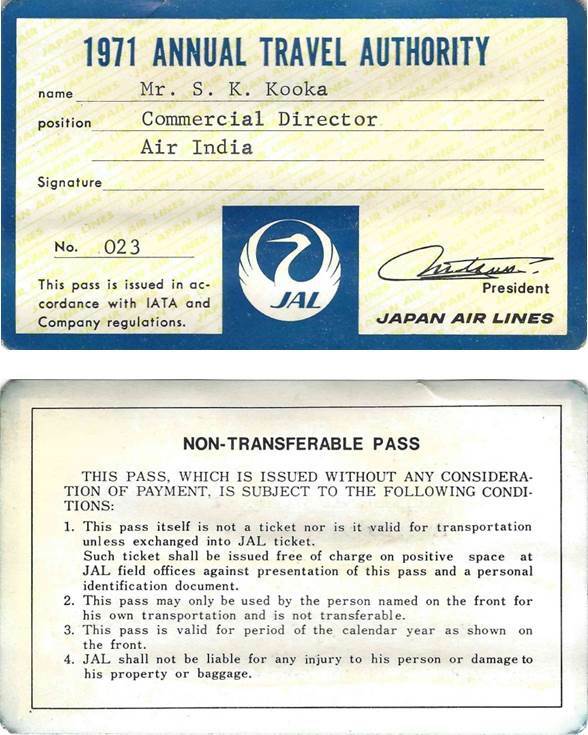 Mr S.K. 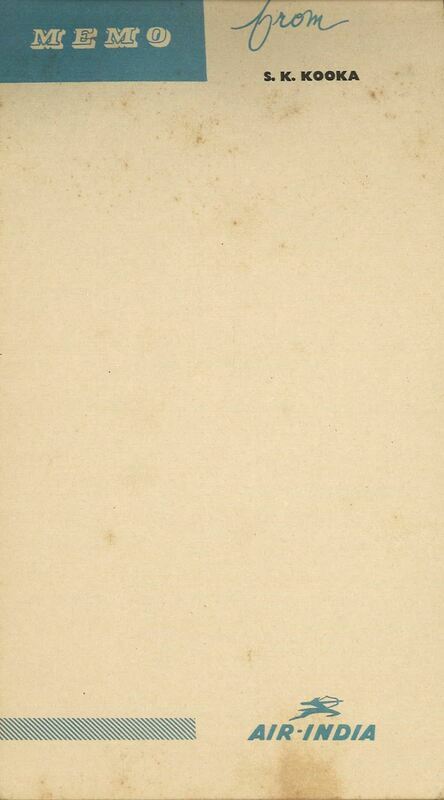 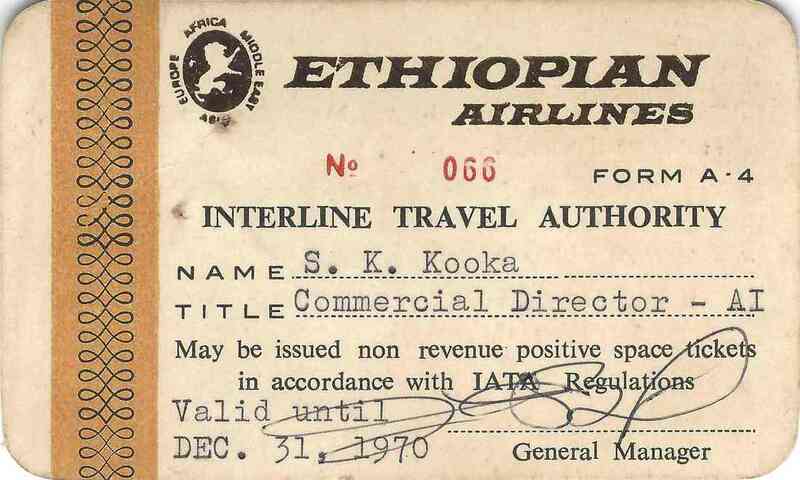 Kooka (Traffic Manager) and Capt. 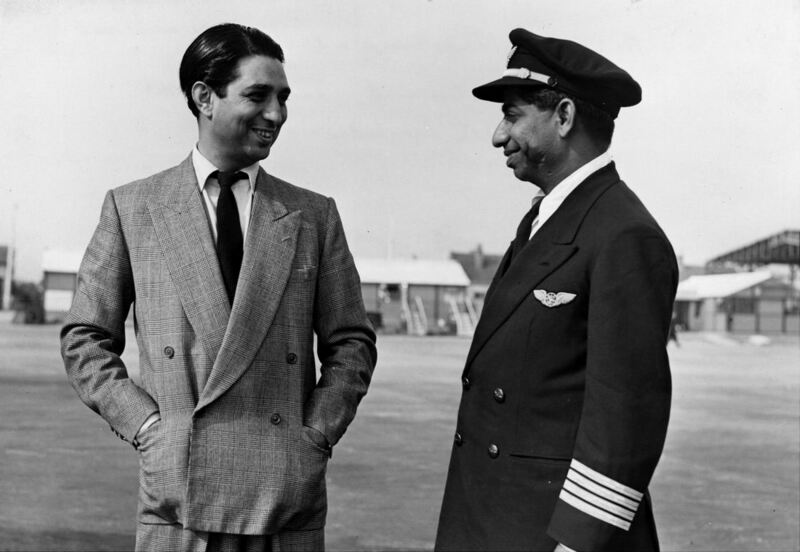 V. Vishvanath lands 11th May, 1948. 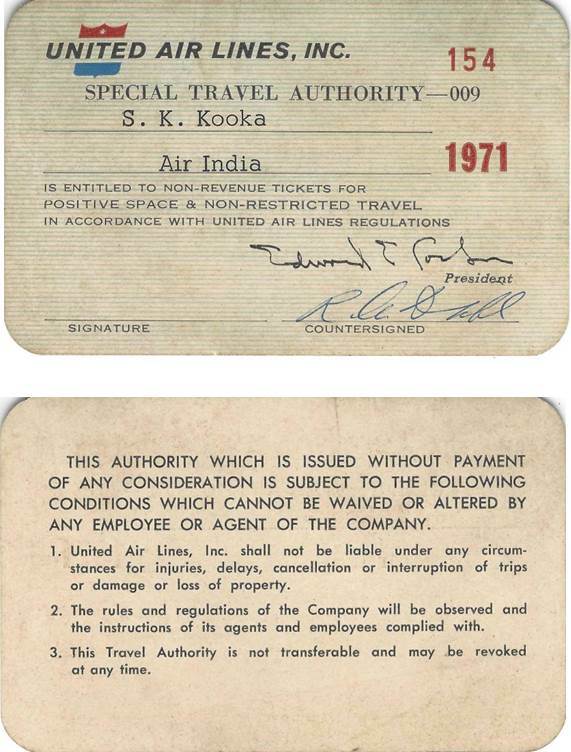 Bombay 16th March, 1948 Arrival of the 1st Air-India International Constellation VT-CQS Mughal Princess at Santacruz Airport. 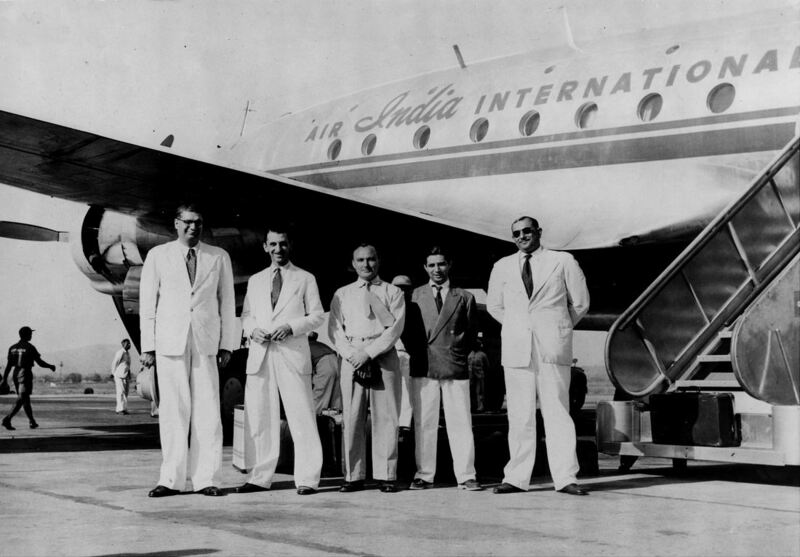 Left to right: Mr. J.D.Choksi - Director Air-India, Mr. JRD Tata - Chairman, Air-India & Air-India International, Mr B.W. 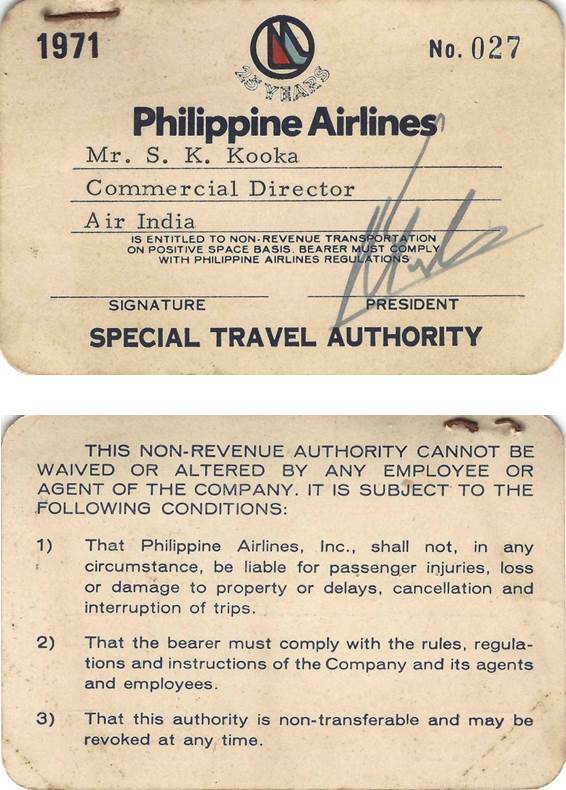 Figgins - General Manager Air-India & Air-India International, Mr S.K. 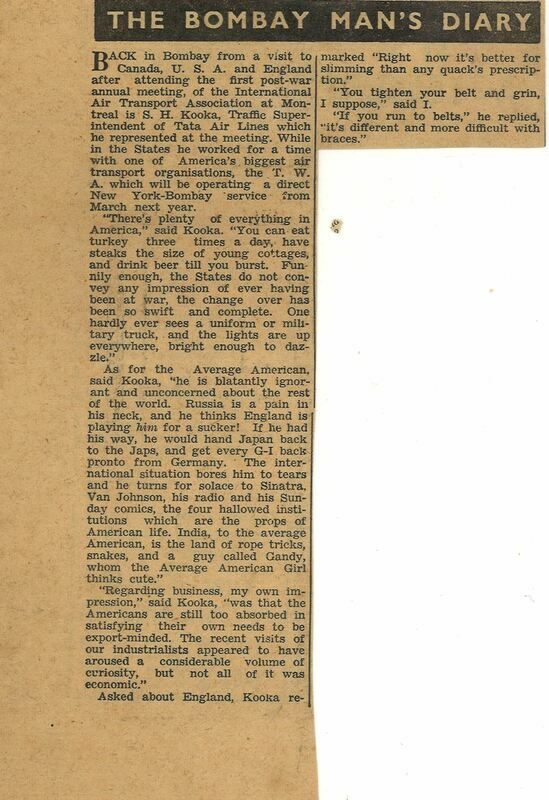 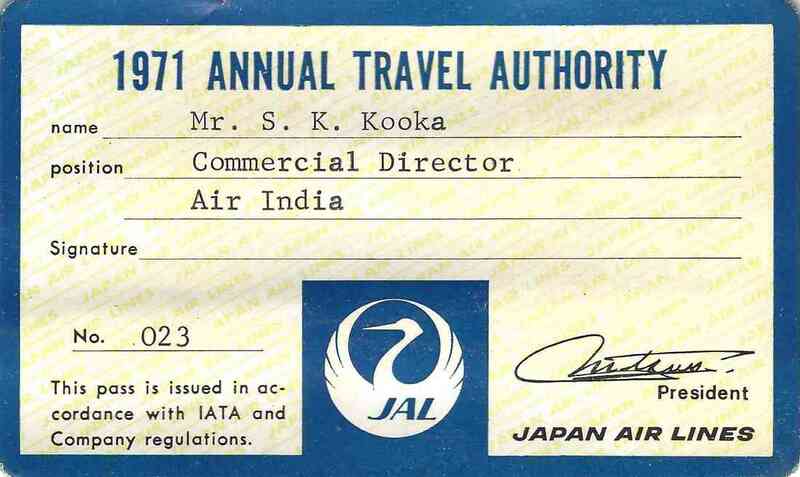 Kooka Traffic Manager Air-India & Air-India International, Mr A.C. Gazdar Operation Manager Air-India & Air-India International. 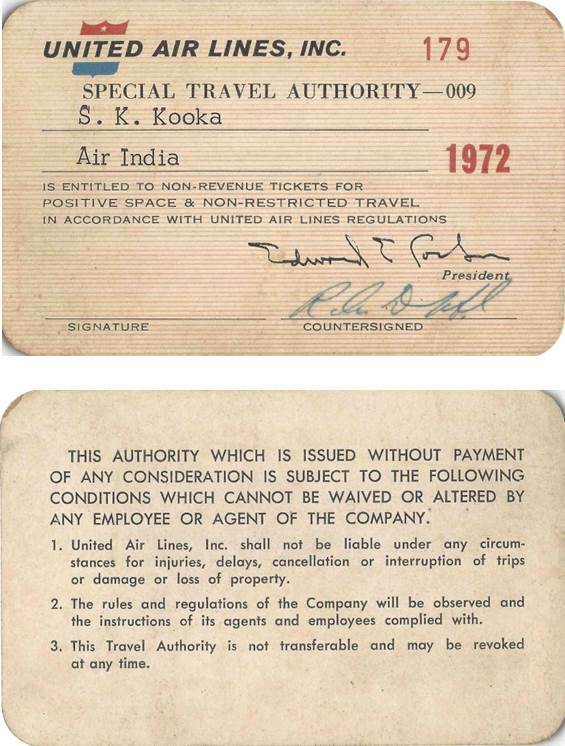 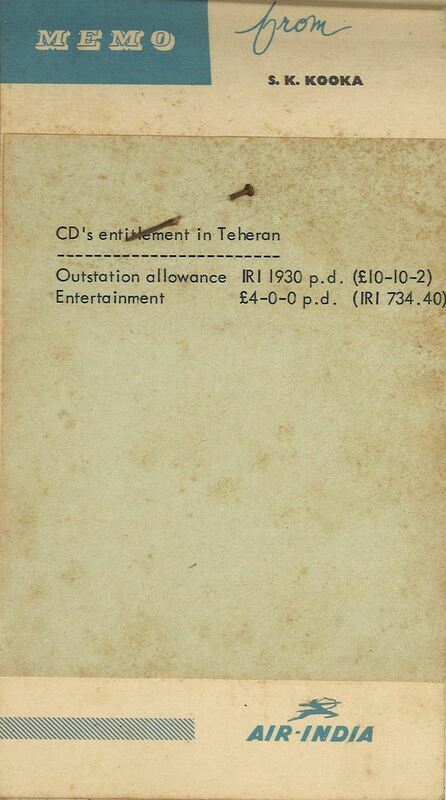 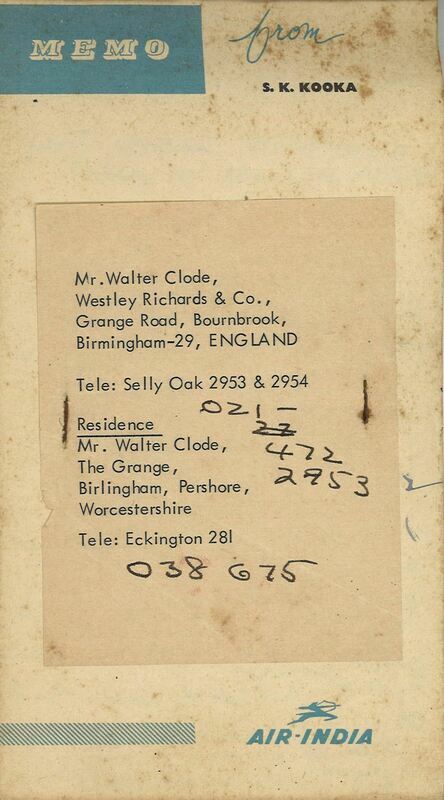 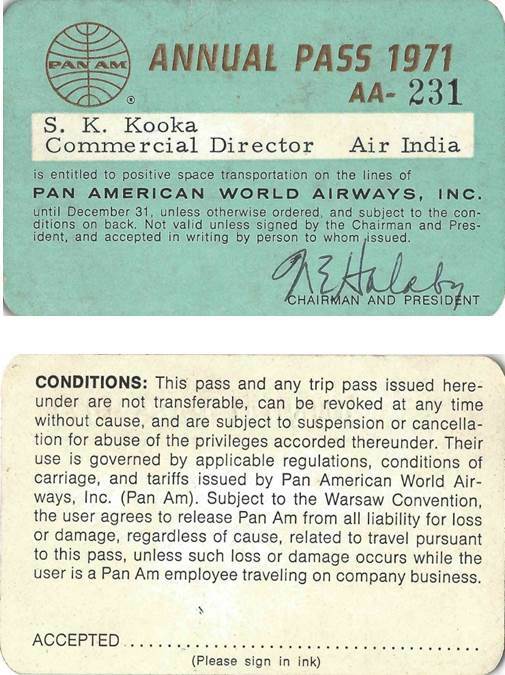 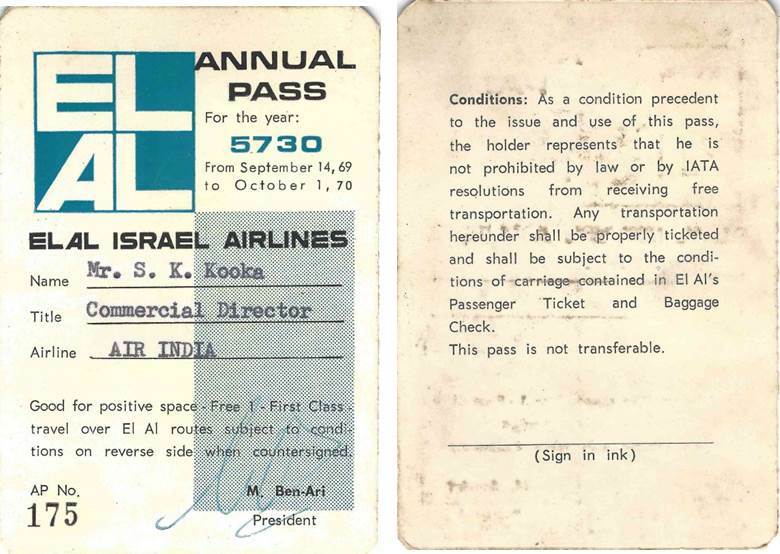 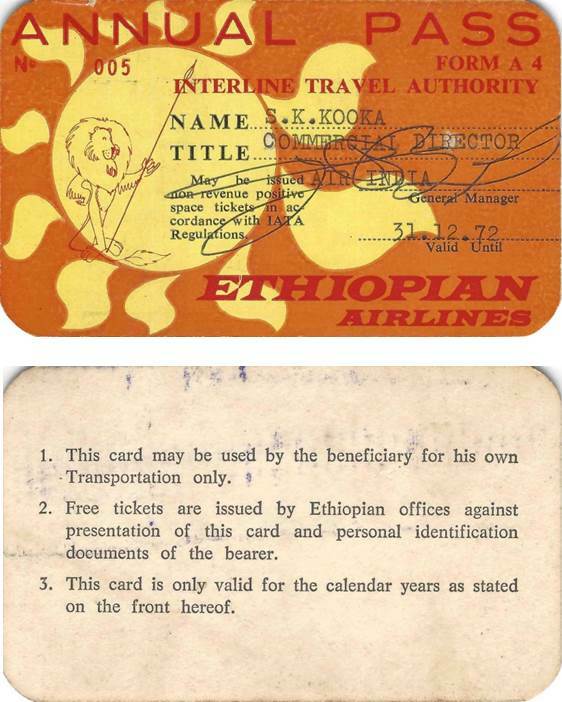 These are courtesies airlines to senior staff of other airlines, and we see here an assortment of such passes issued to Kooka in the early 1970s.